First of all you need to touch the “Settings” option on the home screen. From the options on the left touch “iCloud” and then touch “Storage & Backup” on the right. 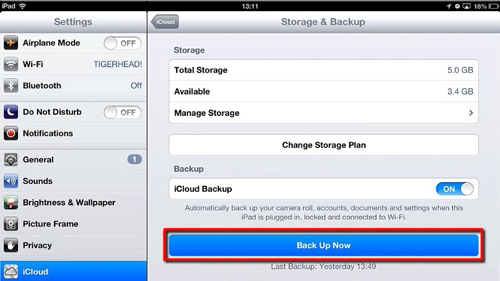 You will see an option called iCloud Backup appear in the new menu. You need to touch this button so that it is set to the “On” position. Touch “OK” in the dialog box that appears. A box will appear that says “Turning on Backup”, once it has vanished backup will be enabled and the device will automatically sync whenever it has an internet connection and it not being used. To launch a backup manually, touch the “Back Up Now” option. A bar will appear below detailing the backup progress, once this completes your back up has been made. 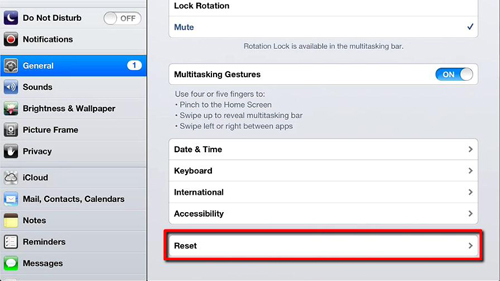 To restore the iPad you need to touch “General” on the left, scroll down and touch “Reset” then touch “Erase All Content and Settings”. 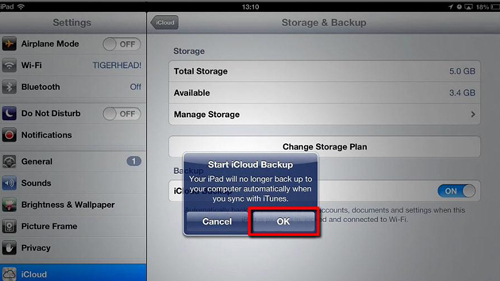 We can’t show this hear as the screen can’t be recorded during this process, but once you have done this and the iPad restarts, you will have the option to restore from an iCloud backup. 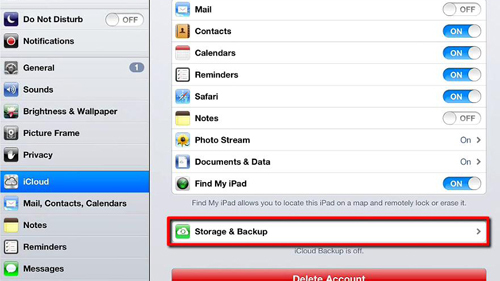 This is the simple process of how to backup iPad to iCloud.